An event that took place during the early month of June, Carlsberg Malaysia held a party to bid farewell to it's Managing Director Soren Ravn on his promotion to CEO of Carlsberg China and to welcome Henrik Andersen as the new MD for Carlsberg Malaysia. 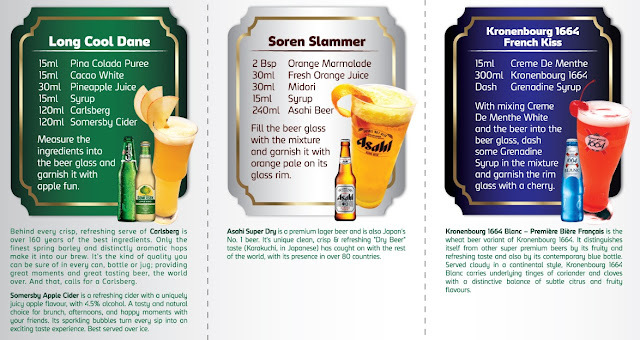 Not only that but Carlsberg decided to unveil it's latest addition to the Carlsberg line-up by introducing 3 new cocktail beers. It was held at Luna Bar, which was located on the rooftop of Pacific Regency Hotel Suites. One of my favorite cosy drinking spots with a great view. The view of the Luna Bar on the upper deck overseeing the entire KL. 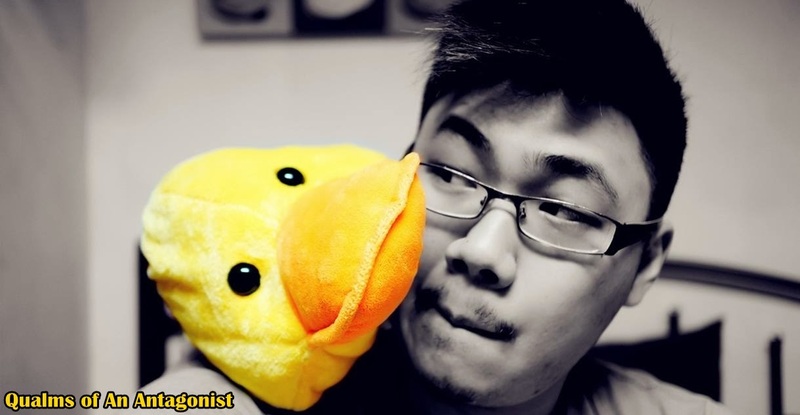 To be honest I was rather shocked at the news of his promotion to the China segment as he holds a celebrity status in Carlsberg Malaysia.His antics never fail to amuse guests that attends any Carlsberg related events. One of the most memorable one I have was during Asahi's robotic bartender launch which he had an elaborate video of him taking a car ride in the style of the show '24' with countdown timer and then heading to a helipad to board a helicopter to get to the venue (where the launch of Asahi's Robotic Bartender is) and finally descending from the top of the venue in real time. Did you know that Soren can rap too? I first met Soren Ravn not so long ago (about just two years back) during Carlsberg s first "Where's The Party" the one that was held at Sepang Gold Coast, where I just started out attending Carlsberg events. I was boarding this buggy cart which brought you from one end of the resort to the other. Soren boarded it soon after I and he proceeded to ask me how I think of the party, and I remember vaguely something about asking where he's from (Denmark). Only much later I learnt that he was the MD of Carlsberg. Now that's a cool down-to-earth multi-talented MD. The many faces/cotumes of Soren each a costume he wore during special events, like Halloween,Chinese New Year, PGA and Oktoberfest. 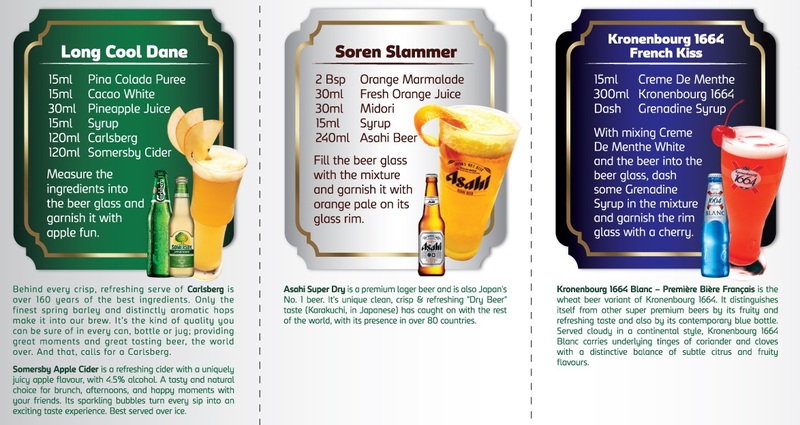 The Soren Slammer uses Asahi as it's base while Long Cool Dane uses Carlsberg with Sobersby Cider while the French Kiss 1664 uses Kronenbourg as it's main ingredient. Personally my favorite cocktail of the night was the Long Cool Dane which had a fruity after taste to it due to it's generous concoctions of pineapple, Sobersby and sweet syrup. Trivia : The "Long Cool Dane" was the originally name of a 1997 Carlsberg Campain. Sarah May Low, whom I refer to as my 'little sister' due to the fact that her birthday is just 1 day before mine. A closer look at Sarah. So here's to you Soren Ravn, a new adventure awaits you in China!